Good puppy training is the key to a well behaved dog. Good dog behavior makes your puppy or dog a pleasure to own and a credit to you as it’s owner – this is why it is important to teach your dog to respond to simple commands. No training routine should be a chore; it should be fun for both of you and will bring many benefits for years to come. It is extremely satisfying owning a well behaved dog, but the early steps of dog training require consistency, understanding and unlimited patience to make training puppies easy! Most dogs are born with an inherent desire to please and this natural trait is maximised with enthusiastic training combined with a reward system. Always reward good dog behavior – this means every single time he is obedient and responds to your commands. Rewards based dog training is without doubt the most effective. Puppies, just like babies, learn from trial and error – so if your dog burns his nose on the fire, it is extremely unlikely that he would ever do it a second time! If he barks for attention and everyone ignores him, he will soon give up. However, it is easy for your dog obedience training to go wrong if he does something wrong and is rewarded, like raiding the bin and finding food, as then he is likely to repeat it. Repeat rewarding good dog behavior and stopping doing the things that are unpleasant or unrewarding is the basis of all learning experience. In order to train your dog / puppy you simply need to exploit this process and manipulate situations so that he learns what you want him to do. All puppies (and humans!) learn more quickly and retain more of what they have learned, if they do not feel under stress. This means that puppy training using rewards is far more effective and sustainable than teaching using punishment. 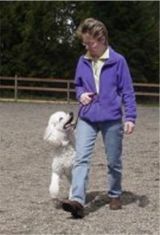 It is important to create a feeling of trust between you and your dog / puppy whilst using any puppy training techniques – this allows the dog to find new ways of earning rewards, without the fear of being wrong. Rewards when puppy training can be anything that your dog / puppy wants – the most obvious is food, however pleasant social contact, verbal praise (usually accompanied by that high pitched, excited, squeaky voice that we do so naturally!) and physical praise, strokes on the back and/or chest also work really well - but not pats on the head, who would enjoy that! Games with toys are good puppy training rewards – but just like humans, different dogs are motivated by different things. You will need to find out what motivates your dog and what is the most successful puppy training reward and therefore will work best. 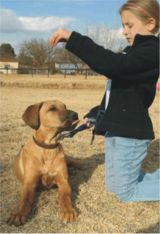 The secret is to make your puppy training (or dog training) positive and fun. 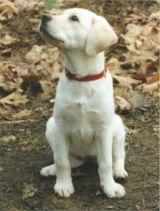 We hope you have found this guide to basic puppy training and obedience. If you would like to find out more about puppy training and dog training then the guides below will provide you with detailed advice, support and guidance to ensure you have the most well behaved dog in the neighbourhood! If you want an obedient loving dog that will obey you instantly, every time, wherever you go then this is the book for you. Simple to use and very effective. Secrets Of A Professional Dog Trainer! - Dog training and problem solving masterpiece! Don't be put off by the title, anyone can use these methods easily and with success. This powerful puppy training system works on any breed or size of dog. Discover how to house, potty and obedience train your dog or puppy in 30 days or less. A must for all new dog owners, with or without experience!